William Morris (1834–1896, British) is not the only artist who can be associated with the Arts and Crafts Movement of the late 1800s. 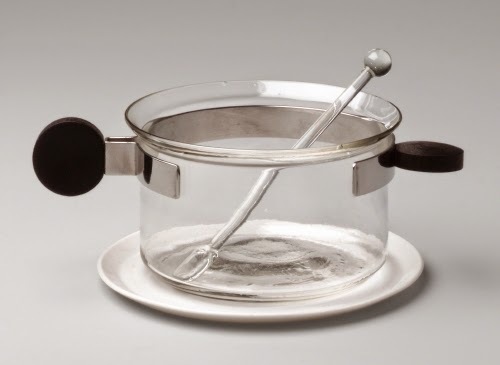 I uncovered this artist in our collection who, in many ways, was what could be considered the first “industrial designer.” Unlike Morris, Christopher Dresser saw no problem in designing utilitarian works of art that could be mass-produced industrially, as long as the design was sophisticated. And, boy, is his design sense sophisticated! 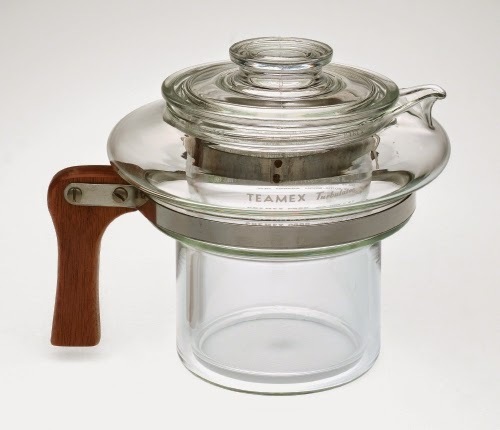 In many ways he’s a forbearer of the Bauhaus, who took Morris’ emphasis on hand-crafted utilitarian art and applied it to mass production, without sacrificing a fine aesthetic. I’m a painter, and yet, like most art historians I appreciate the ENTIRE gamut of artistic endeavor. I’m particularly drawn to the Arts and Crafts (geez I hate the term “craft”) movement of the late 1800s, because it was a rebellion against the industrialization fervor and sought to return to endowing every object in daily life with an aesthetic that was hand-made. Perhaps the idea was a naïve idea in a way, since mass produced furniture, ceramics, and metalwork, for example, were big profit items for companies that catered to the increasingly prosperous middle-class. William Morris pioneered a movement that quickly spread to the US, where he emphasized fine aesthetics in everyday utilitarian objects. While Morris was based in Britain, a similar aesthetic arose in Glasgow, Scotland where Dresser was born, around the Scottish artist Charles Rennie MacKintosh (1868–1928). Glasgow was one of the most remarkable centers of experiment in modernist design in architecture and decorative arts. Dresser, from his early schooling in London at the Government School of Art and Design was an advocate of merging botany (floral motifs, to put it crudely) with “Arts and Art-Manufacture.” He was also keenly interested in Japanese art. Japanese art was a formative influence on his industrial design, because Japanese reverence of natural forms in art did not manifest itself in a slavish copying of natural forms. Dresser preferred extracting shapes from nature in his designs, searching for the underlying geometric sources in nature. 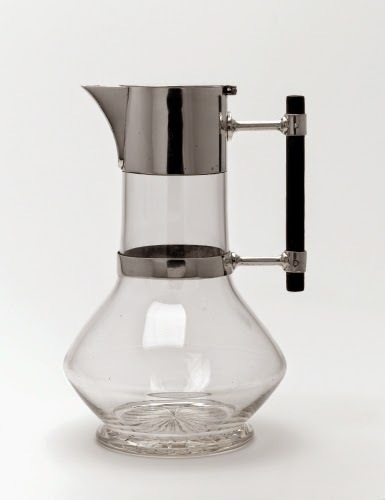 This jug is so modern in appearance, and yet it harkens to the Zen Buddhist idea of frugality and simplicity in design. It is notably devoid of the florid decoration that sometimes characterizes Arts and Crafts artworks. From the outset, Dresser was interested in designing forms suitable for mass-production. He was a keen advocate of exploiting the industrial revolution of the 1800s for enhancing the aesthetic quality of everyday objects. His designs clearly anticipate the Art Deco style of the 1920s and 1930s. Studio activity: Design a glass jug of the future. Using colored pencils or markers, design a glass jug that anticipates what life would be ten years from now. Be sure to include any other materials, such as wood or silver to ornament the design. Think of what people might be doing differently ten years from now and design your jug accordingly. Do you want to incorporate ideas about the environment, climate change, or depletion of natural resources into your design? Karl, this is absolutely wonderful.